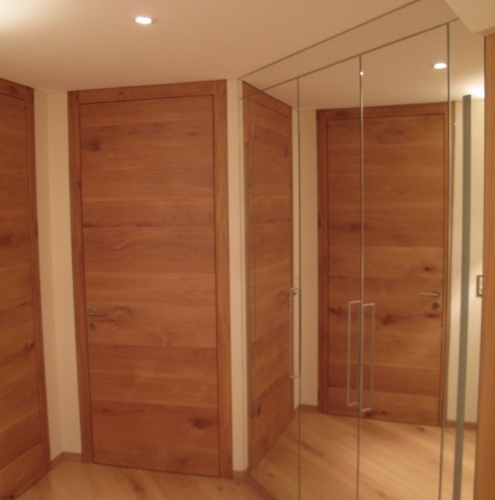 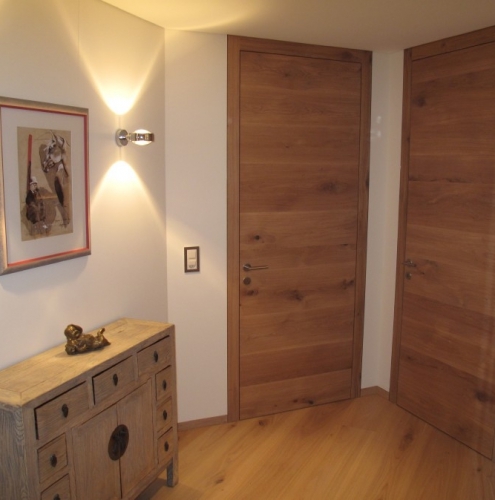 We produce interior doors in a special build to match the Südtiroler Landhausdielen®. 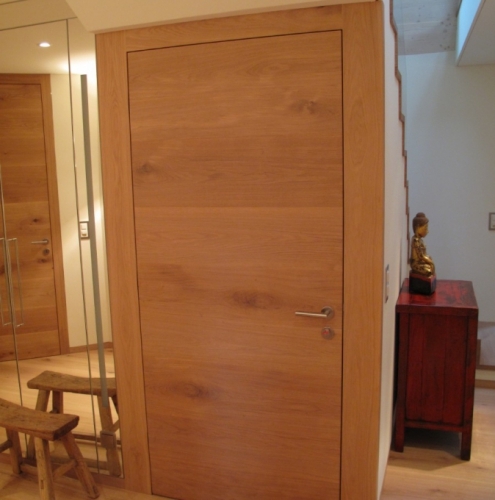 Our inner doors usually comprise of a spruce core of 44mm, planked on both sides with cover lamellae in the desired wood type at a thickness of approx. 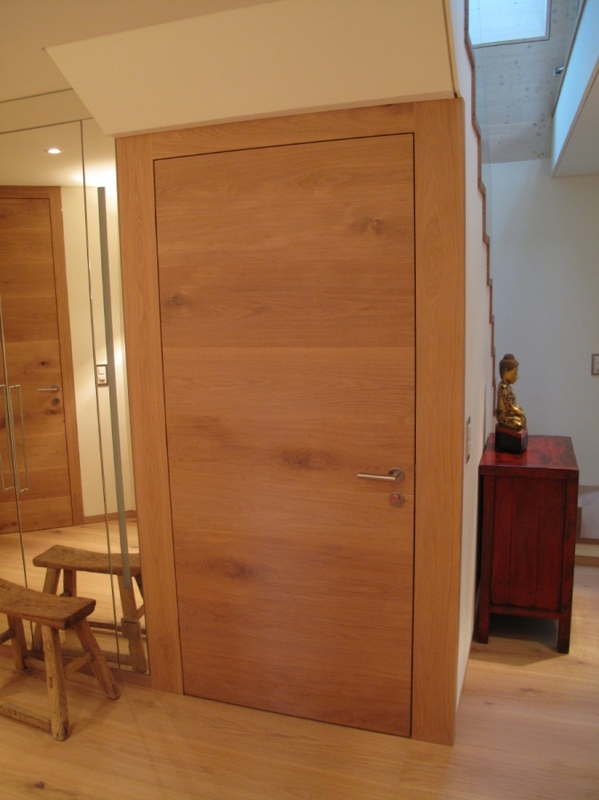 4.5mm to fully expose the solid wood character and internal and hinges that are invisible with the door closed. 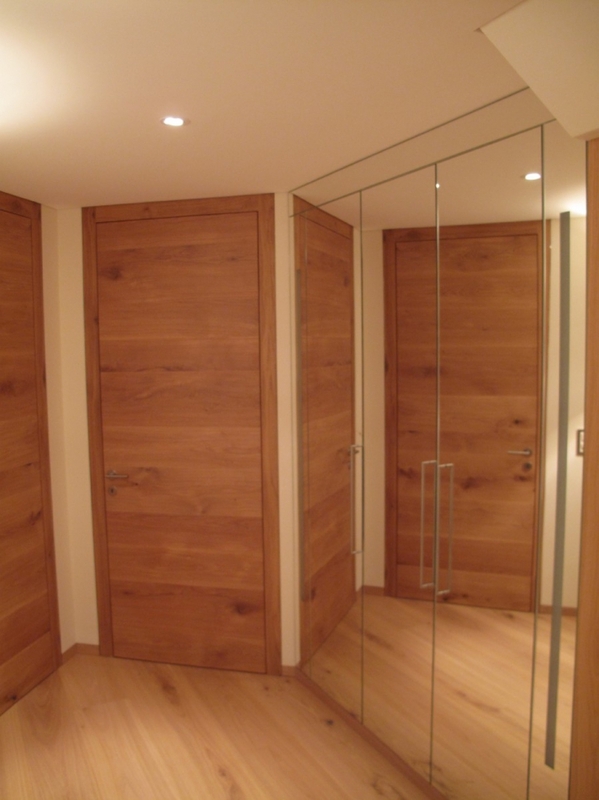 All of this is installed on a flush doorframe. 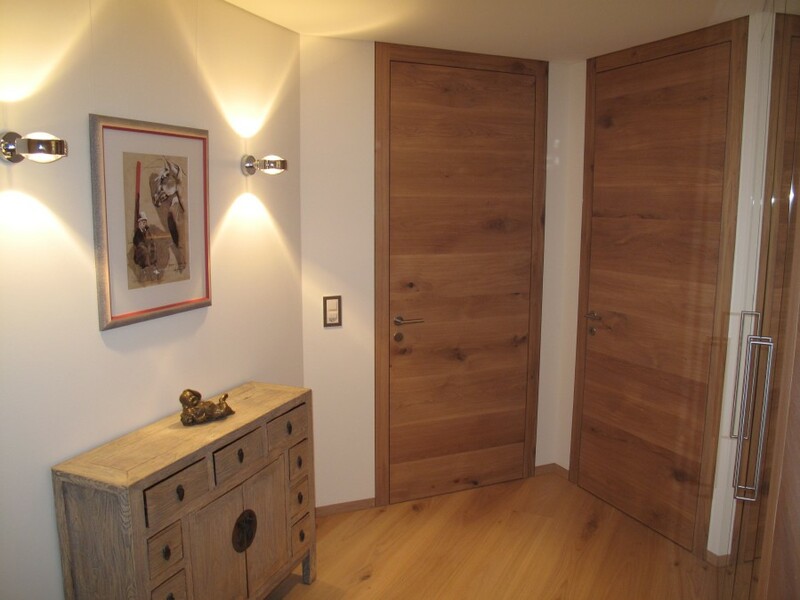 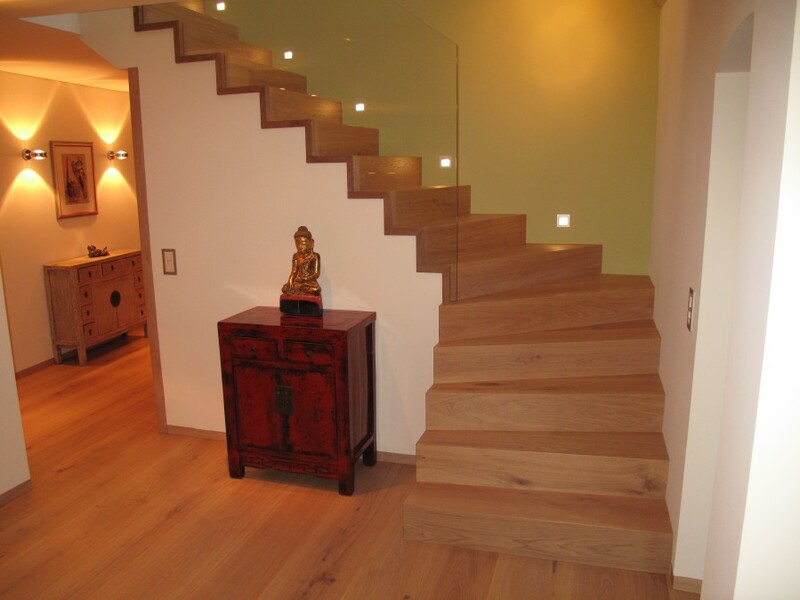 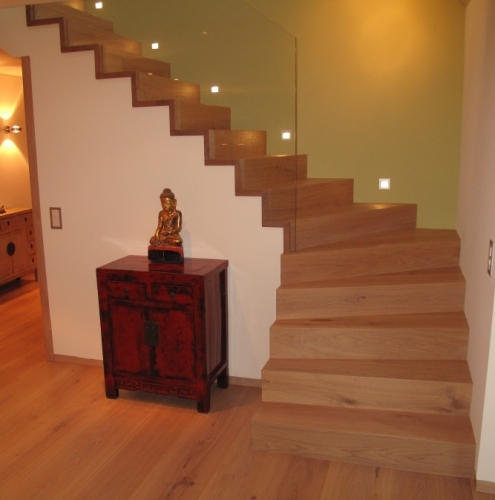 This warrants that the inner doors have precisely the same surface as your Südtiroler Landhausdielen®.